I’m not much for talking about myself. I’m average, anonymous (which I prefer) and American. I have been nuts about horses all my life. I am a retired Army veteran of 21 years. After retiring,I started a second career as an equine massage therapist. While I loved the work, it didn’t pay very well. After 16 years, my shoulders blew out-so now I don’t massage horses. However, I was probably among the best, so much so that I could-and sometimes had to-massage horses in the dark. My third career was solely for my pleasure: I went back to college to get my degree in biology. My husband says that I’m “Like artists and musicians, I was born to be a biologist”. The degree was merely a formality. Being outdoors, observing and learning from the natural world, is where I am happiest. But as many of my fellow biologists can attest to, while there’s a gigantic amount of research and work that needs doing, no one is paying someone to be a biologist. Thus, even though I can finally put the letters BS after my name, all it’s gotten me was a nice piece of paper. But it also provides veritas. Due to my economic status (a nice way of saying poor), I don’t currently own a horse. 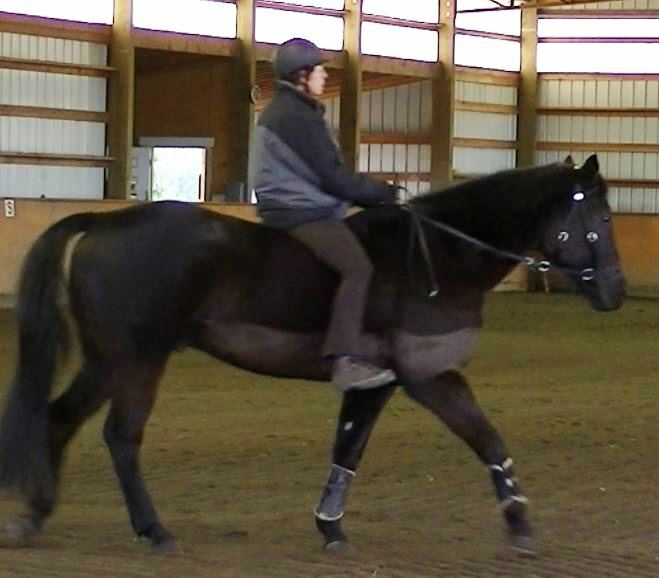 However, I have a wonderful friend who allows me to be an “auntie” to her lovely gelding. This means I’m groom, treat feeder, ally, advocate and friend. I love that horse, and he tells me he loves me. To protect myself from trolls and lawyers, all names of people and (in most cases) the breed and names of the horses in my blog have been changed. Sorry to hear you’re being bothered by one of the online cowards. Why do we keep allowing a few misguided people to ruin things for everyone else? Because it’s illegal to draw and quarter them, unfortunately….